In a shocking incident, Opposition party leader Ys Jaganmohan Reddy was attacked at the Vizag airport today aat around 1:00 PM. 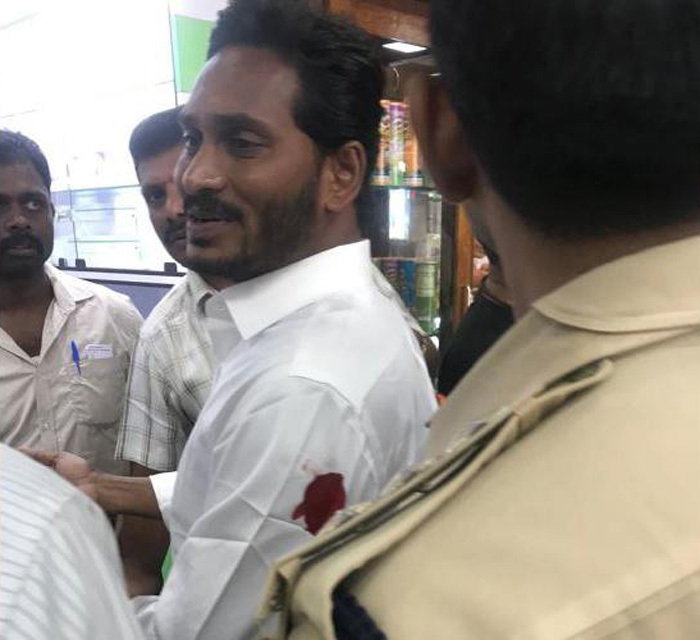 As per reports, Jagan was stabbed on his left arm with a knife used for cockfight by a guy named Srinivasa Rao working at a coffee shop in the airport. The attacker has been detained in connection with the incident. YS Jagan is safe and has been taken to a nearby hospital for the treatment of the wound he has received in the attack. Preliminary reports said the man came near the YSR Congress Party chief on the pretext of taking a selfie with him but attacked him in the process. The incident is being treated as a massive security breach. The question that is being asked is: how did the man managed to take the sharp object inside the airport? YSRCP spokesperson Roja doubted there is a political conspiracy behind the attack! The YSRC leader was on his way to Hyderabad after winding up his ‘padayatra’ in Saluru of Vizianagaram district.